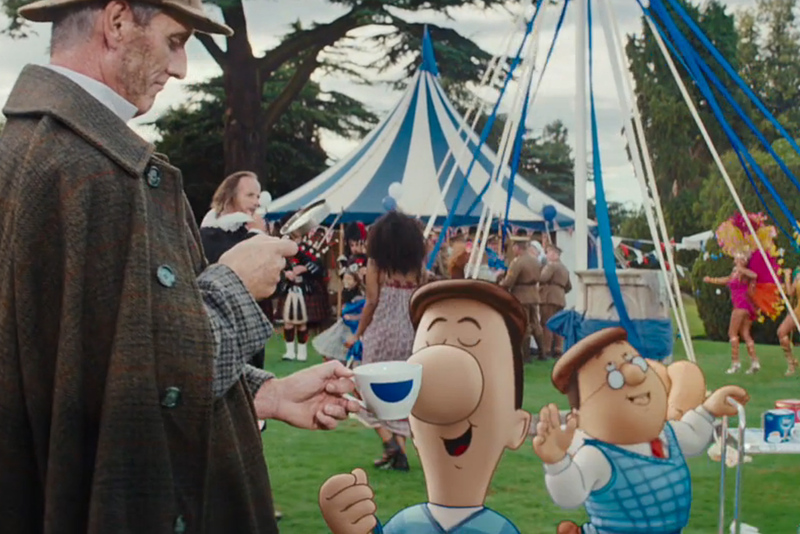 Tetley, the tea brand, has unveiled a £10 million campaign to celebrate the best of Britain since 1837, the year of the business being founded. 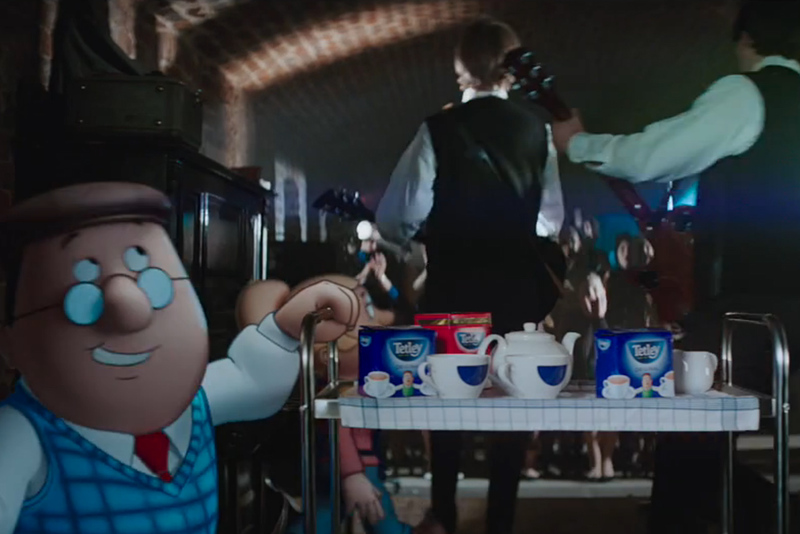 The 40-second spot, created by Creature, features the familiar animated brand characters Gaffer, Sydney and Tina, known as the Tetley Tea Folk. During a break from tea blending duties, Sydney says he could not do a thing without a cup of tea; Gaffer agrees and illustrates the sentiment by bursting into song and wheeling his trolley through Britain’s past - as if to suggest that the tea brand has inspired some of the nation's greatest victories. The ad, called "Britain. Built on tea since 1837", depicts the characters visiting iconic scenes in recent British history, such as Winston Churchill in the Cabinet War Rooms in the 1940s and the England football team celebrating winning the World Cup in 1966. After the nostalgic trip through time, Gaffer proudly says: "Tetley. It starts with tea." The £10 million campaign will air on television on Friday, 8 January, and will also feature video on demand, outdoor, print, digital and social media. The TV ad was written and art directed by Dan Ball and Joe Stone at Creature, with Starcom Mediavest Group handling the media planning and buying. The spot took five months to produce and was created using Legacy and Softimage XS technology, which was used in the movie The Hobbit. It was directed by Gerald McMorrow through 76 Ltd.
Cassie Shuttlewood, the senior brand manager at Tetley, said: "Tea is the nation’s favourite drink. It’s such an iconic part of Britishness, right up there with the Royal Family, James Bond and Big Ben." 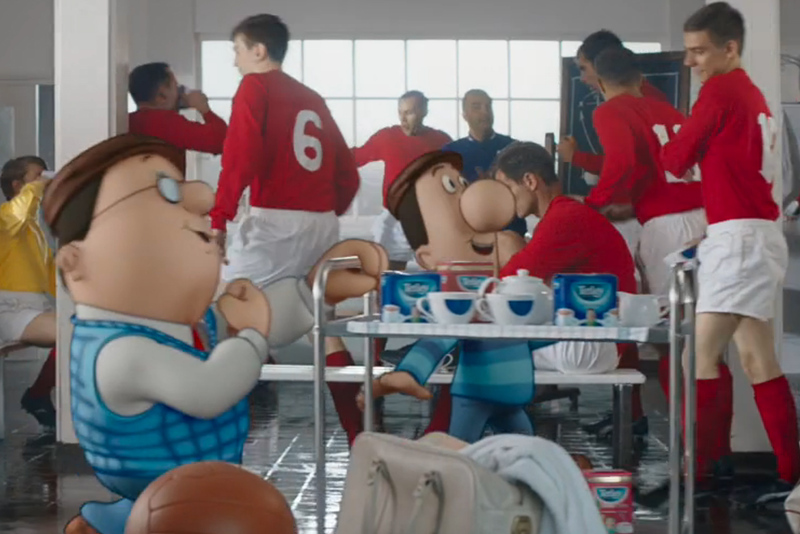 Creature picked up the Tetley account in 2013 after winning a competitive pitch against the Brooklyn Brothers, BETC London and M&C Saatchi. The brand's creative account was previously handled by Dare.